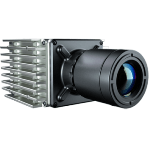 The Viento thermal imaging camera from Sierra-Olympic is designed to be as affordable and convenient as possible. 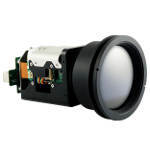 Standard interfaces and mounting systems make it simple to integrate into any application, and the affordable price makes it ideal for exploring new ground for thermal imaging in industry and research. 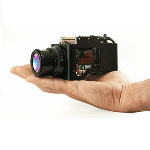 The Viento 640 includes both an analog video output, and a 14-bit digital CameraLink interface. 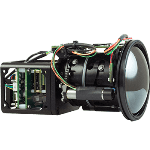 A comprehensive range of optics makes it possible to tailor the system for your application. 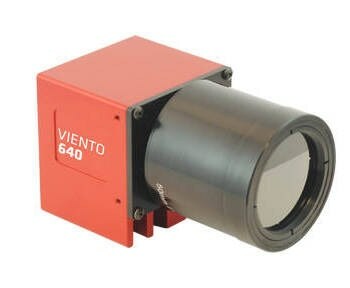 The Viento 640 offers a high-resolution 640x480 pixel thermal imaging, supporting horizontal fields of view as wide as 6°. 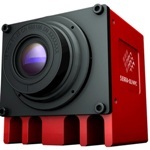 The camera can be controlled and powered by USB for convenience and rapid application development, or by RS232 serial connection.